You might be anyone (probably male) attending the keynote address "Rolling Away the Misconceived Stone: Structural Semiotic Signification in Mark 16:1-8" at the 14th Annual PANTS Conference, but it's obvious to you that the speaker, Professor Wortschlachter, doesn't know what he's talking about. Your mind wanders to the attractive blonde woman sitting a few rows ahead. (FLASHBACK: You met her briefly in the breakfast queue this morning and exchanged pleasantries.) Back at the conference, you feel a twinge from your chest. Unable to leave or even speak, the twinge gets worse until you black out. That's when you remember the woman's name: Felicity Hope. You regain awareness in a grey limbo. You are empty-handed and looking pallid and insubstantial. You trudge "north" towards a faint orange glow until you reach Hell's Gate. A demon is chiseling off the inscription "ABANDON HOPE ALL YE THAT ENTER HERE" and a notice posted on the gate says that Hell is closed for demythologization. Beta-testing by Nikos Chantziaras, Ian Haberkorn, Michel Nizette, Chris Odhner, Aaron Reed, John Schiff and Andreas Sewe. XYZZY Awards 2005: Finalist for Best Game, Best Story, Best Setting, Best NPCs, Best Individual Puzzle (moving the stone (after the labyrinth)), Best Individual NPC (Agrath). All Hope Abandon (Eric Eve; 25-Feb-2006; TADS 3). 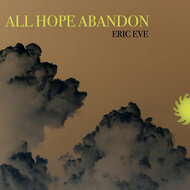 All Hope Abandon (Eric Eve; 08-Jul-2007; TADS 3). Download AllHopeAbandonSource.zip from the IF Archive - The source code. All Hope Abandon (archived) - at Baf's Guide. All Hope Abandon - at IFDB. All Hope Abandon: Biblical Text and Interactive Fiction (by Eric Eve) - Digital Humanities Quarterly, Volume 1 Number 2 (Summer 2007). All Hope Abandon - at SPAG. All Hope Abandon - at IF Ratings.